Flagship AKDENIZ at Tuzla, Turkey. Photo and copyright Peter Knego 1998. Please click on image to open a larger version. All photos by and copyright Peter Knego 2009 unless otherwise noted. The current millennium has brought, with few exceptions, the utter decimation of a once diverse fleet of vintage passenger liners and cruise ships. Today, only a handful of these graceful vessels tenuously cling to existence in defiance of impending SOLAS regulations, high operational and maintenance costs and the global economic downturn. 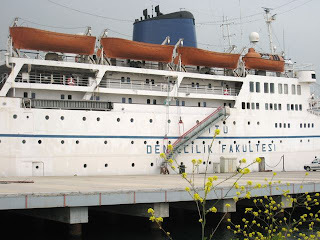 The Tuzla-based Istanbul Technical University’s Maritime Facility is home to one such liner, the 1955-built MV AKDENIZ. MV AKDENIZ at Tuzla. Photo and copyright Peter Knego 1998. 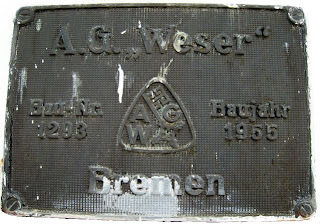 The first of two nearly identical ships built for state-owned Turkish Maritime Lines, the 8,809 gross ton AKDENIZ (“Mediterranean Sea”) was completed by the Bremen-based yard of AG Weser in late 1955, officially entering service in January of 1956. She was followed by the nearly identical KARADENIZ (“Black Sea”) that same year. 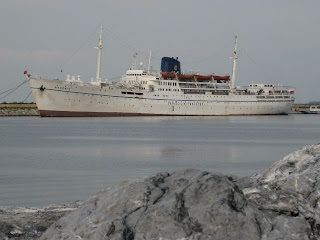 The two ships had an impressive capacity for 1002 passengers (8 deluxe, 74 first, 370 tourist, and 550 deck/dormitory). Turkish Maritime Lines’ various trade routes in the Mediterranean and Black Seas. Courtesy of Dr. Ata Bilgili. 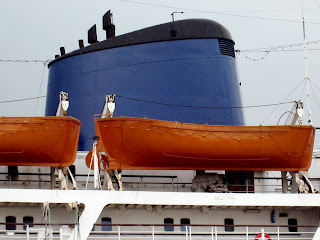 Turkey’s largest and finest liners were designed for the cross-Mediterranean run from Barcelona to Marseilles, Genoa, Naples, Piraeus, Alexandria, Beirut and Istanbul but also enjoyed several seasons in Black Sea service. Their gracious silhouettes were certainly typical of the era, with long, raked bows, sheltered promenades and curvaceous superstructures topped with streamlined midships funnels. MV AKDENIZ Turkish Maritime Line’s brochure page, courtesy of Dr. Ata Bilgili. Please click image to see details. 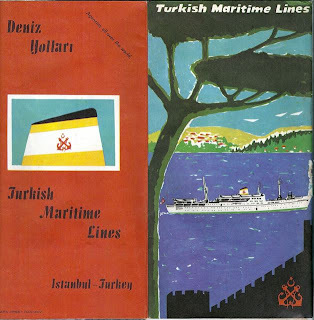 Turkish Maritime Lines was one of several key Mediterranean operators competing with the likes of Adriatica, Tirrenia, Jadrolinija and Hellenic Mediterranean Lines. 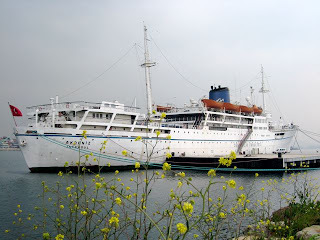 From the late 1950s through the early 1970s, its fleet thrived on a variety of Mediterranean and Black Sea routes. MV AKDENIZ at Izmir. Photo and copyright Dr. Ata Bilgili. 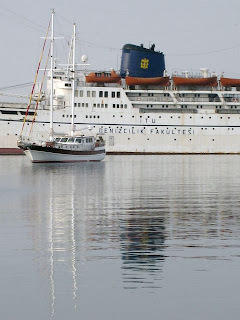 By the mid-1970s, Turkish Maritime Lines and its competitors began to withdraw and scrap most of their liners, leaving just the AKDENIZ and KARADENIZ to soldier on, when they were switched to Turkish coastal cruising in the early 1980s. MV AKDENIZ Disco Demre (added in the 1989 conversion), facing forward. Photo and copyright Peter Knego 1998. Following an engine room fire, the KARADENIZ was broken up at Aliaga (near Izmir) in 1987. 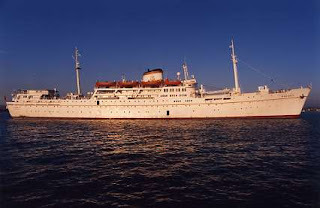 The AKDENIZ was converted for cruising in 1989 with the installation of full air conditioning and the addition of a disco, gym and sauna. 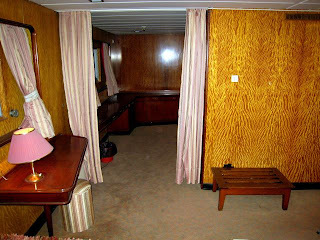 MV AKDENIZ First Class Cabin, facing starboard. 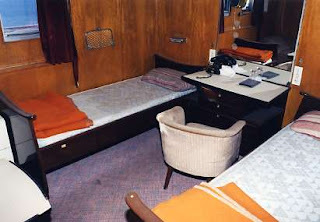 At the same time, her lower classes of accommodation were given private facilities and the ship’s capacity was downsized to a very comfortable double occupancy rate of 230 (maximum 444 with all extra berths filled). 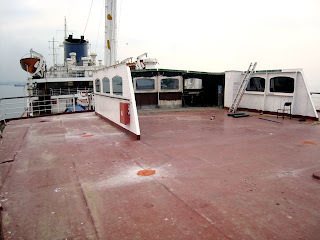 MV AKDENIZ over bow from Top Of House. Photo and copyright Peter Knego 1998. MV AKDENIZ Top Of House, facing forward from port. Photo and copyright Peter Knego 1998. MV AKDENIZ facing aft from port wing. Photo and copyright Peter Knego 1998. For several years, AKDENIZ was chartered to Bonn-based Phoenix Seereisen, catering mainly to German passengers. By most accounts, this chapter in her long career was very successful and the ship enjoyed a loyal following, occasionally venturing outside of the Mediterranean to the U.K and Scandinavia. Her final active years were spent cruising out of Genoa and in local Turkish coastal service before the 1997 SOLAS regulations required prohibitive modifications that forced her withdrawal. 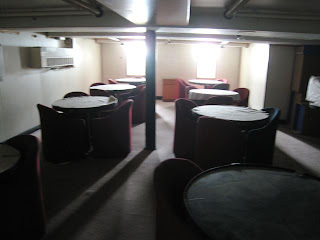 MV AKDENIZ Officer’s Mess, facing forward. Photo and copyright Peter Knego 1998. 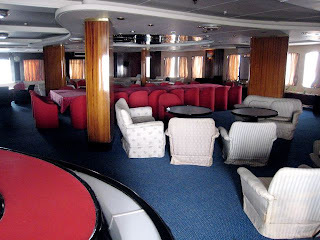 MV AKDENIZ Bergama Lounge, facing starboard. Photo and copyright Peter Knego 1998. 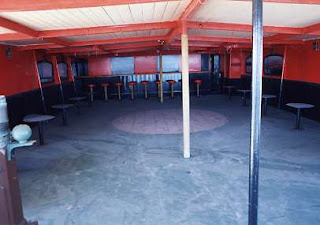 MV AKDENIZ Kekova Bar facing aft. Photo and copyright Peter Knego 1998. 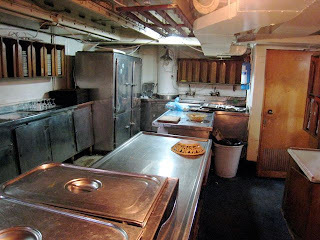 MV AKDENIZ B Deck Crew’s Mess, facing forward. Photo and copyright Peter Knego 1998. 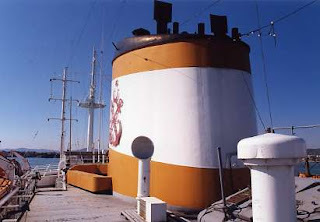 The ship was saved from almost certain demolition by the Istanbul Technical University Maritime Facility for use as a training ship, initially spending most of her time at anchor. I visited AKDENIZ shortly after her handover to ITUMF on a very hot June afternoon in 1998. The ship, still in TML’s handsome livery, was in immaculate condition and completely unchanged from her most recent cruising configuration. Her public areas were magnificently original and ready to begin serving a new incarnation as classrooms and lecture halls and her cabin accommodation would be used as occasional student housing. Eventually, the ship was given ITUMF’s blue and gold funnel livery and a jetty was built to accommodate her, although she is less actively used today. MV AKDENIZ at Tuzla, Turkey. 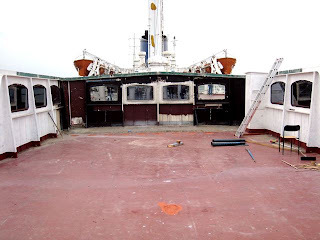 In the past eleven years, constant exposure to the elements have taken a slight toll on the AKDENIZ’ outer decks but she remains in overall good condition. She has become a familiar part of the local landscape, sharing the tranquil waters with an assortment of fishing boats, yachts, and, at certain times of year, schools of pulsating jellyfish or scad. 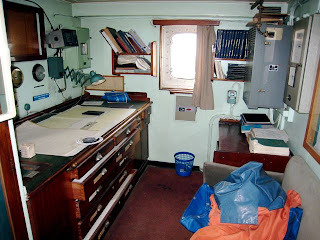 In April of 2009, through the kind offices of ITUMF’s assistant dean, Dr. Ata Bilgili, I was granted a visit to the ship. On a cool, cloudy morning, I spent some five hours on board, documenting nearly every detail from the top of the house to her machinery spaces. MV AKDENIZ midships superstructure at Tuzla, Turkey. 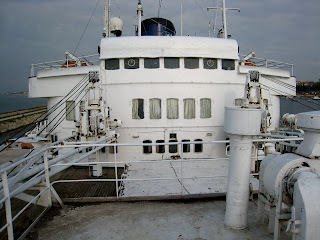 MV AKDENIZ Top Of House, facing aft. MV AKDENIZ over port wing from Top Of The House. 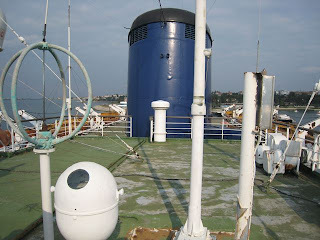 MV AKDENIZ Top Of House, facing forward from starboard. 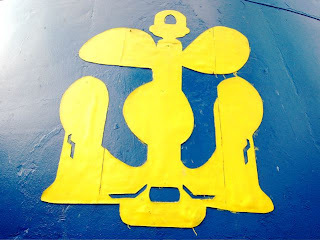 MV AKDENIZ ITUMF Funnel Marking. 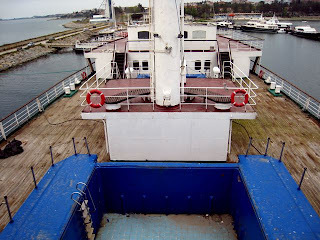 MV AKDENIZ over stern from Top Of House. The Top of the House offers great views over her long bow and bridge wings. It steps down slightly at the base of the funnel, continuing aft alongside the engine room skylight for a view over the stern. MV AKDENIZ over bow from Wheelhouse. 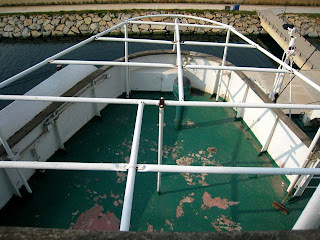 MV AKDENIZ Wheelhouse, facing forward. 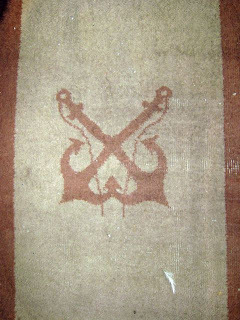 MV AKDENIZ totally random Turkish Maritime Lines’ Wheelhouse rug shot. MV AKDENIZ Wheelhouse facing starboard. 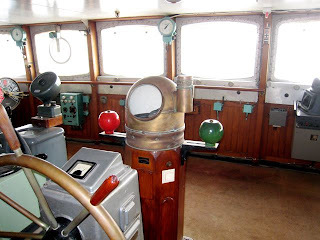 Bridge Deck begins with the spectacular wheelhouse and its beautifully preserved vintage navigation equipment and gauges. 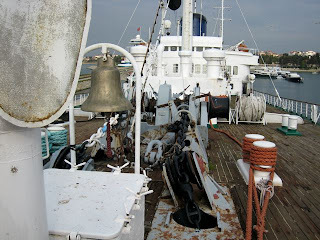 The brass Chadburn telegraphs still proudly sport their Turkish commands..
MV AKDENIZ, facing inboard from starboard wing. MV AKDENIZ aft from Port Wing. Outside, the open wings have endured their share of exposure to Turkey’s cool winters and blazing summers but for the most part, the ship remains in very good condition. 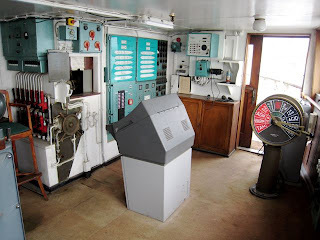 MV AKDENIZ Chart Room, facing starboard. 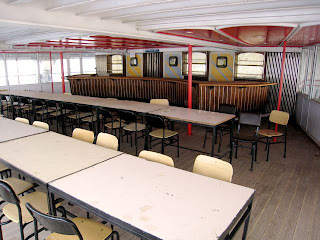 The Chart Room and Radio Room are, in classic tradition, just aft of the Wheelhouse. 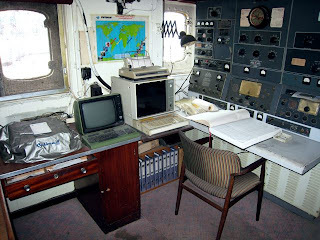 MV AKDENIZ Captain’s Office, facing aft. 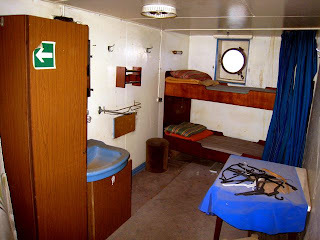 MV AKDENIZ Captain’s Bedroom, facing aft. 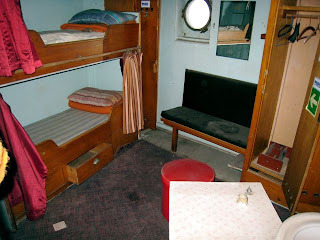 The Captain’s Office and Bedroom remain unaltered and seemingly ready to accommodate. MV AKDENIZ Stairtower Ceiling on Bridge Deck. 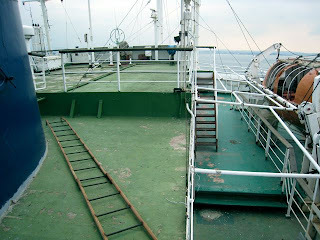 MV AKDENIZ Forward Stairtower, facing starboard from Bridge Deck. 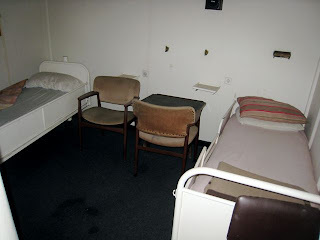 s’ accommodation and the officers’ mess. MV AKDENIZ over stern from Bridge Deck. 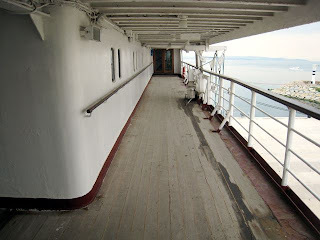 An open sun deck overlooking the stern is reached by narrow promenades from the bridge wings. 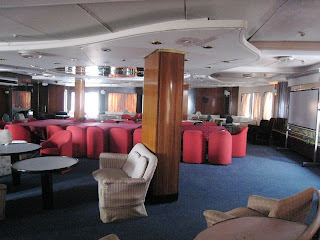 MV AKDENIZ Bergama Lounge, facing port from forward. 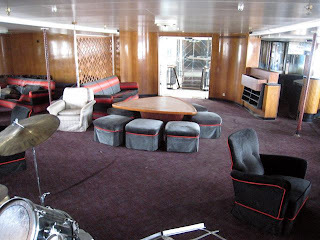 MV AKDENIZ Bergama Lounge, facing port from aft. MV AKDENIZ Bergama Lounge bar. 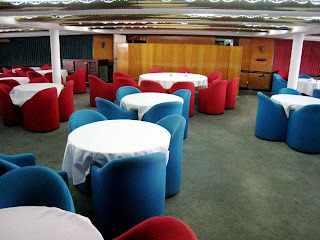 Promenade Deck level begins with the remarkable Bergama Lounge, AKDENIZ’ former first class social hall. The butterfly-shaped ceiling fixture and four wide, wooden supports are key focal points, along with a leather padded bar and a combination of original and more modern furnishings. The room is configured for meetings and lectures in these images with banks of seating on either side of the long tables in its center. 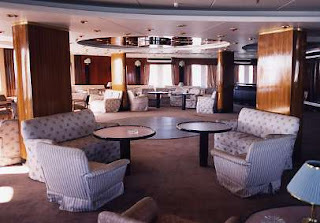 MV AKDENIZ Lux Suite 501 sitting area, facing port. MV AKDENIZ Lux Suite 501 Bedroom. Photo and copyright Peter Knego 1998. 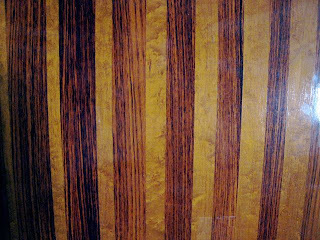 Totally random wood grain shot from Lux Suite #501. 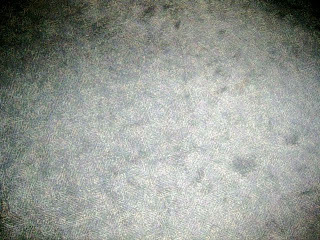 MV AKDENIZ Lux Suite 501 totally random carpet shot. 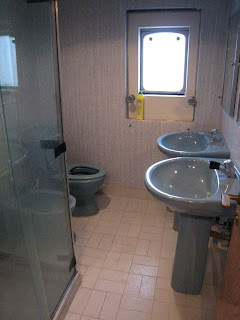 MV AKDENIZ Lux Suite 501 bathroom, facing forward. 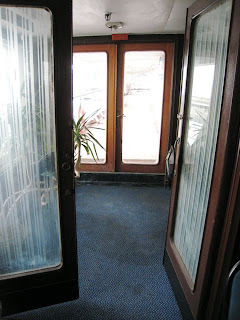 Immediately aft of the forward vestibule are the four palatial Lux Suites (500 and 502 on the starboard side and 501 and 503 on the port side). 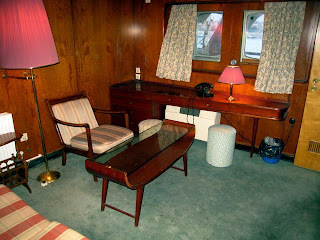 Each sports a separate sitting area and bedroom, a large bathroom with two sinks, and some of the most remarkable vintage paneling still afloat. 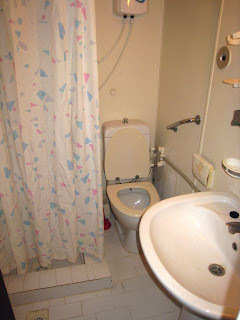 Note the original bakelite dial phones. The forward units, 500 and 501 (shown above) are slightly smaller than the aft units. 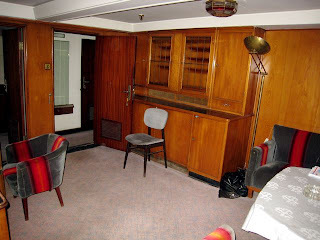 MV AKDENIZ Lux Suite 503 sitting area, facing forward. MV AKDENIZ Lux Suite 503 bedroom, facing aft. MV AKDENIZ Lux Suite 503 bedroom to sitting area, facing forward. Imagine what it must have been like to occupy one of these magnificent suites during the AKDENIZ’ liner service or latter cruising heyday. 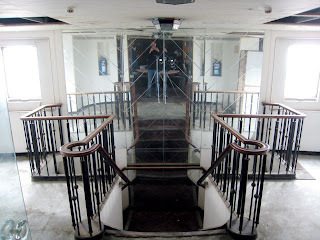 MV AKDENIZ Starboard Promenade Deck vestibule. Small vestibules are located on either side of the aft portion of the Bergama Lounge, leading to sheltered promenades. 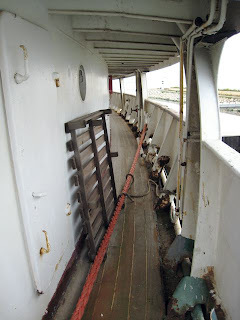 MV AKDENIZ Starboard Promenade Deck, facing aft. 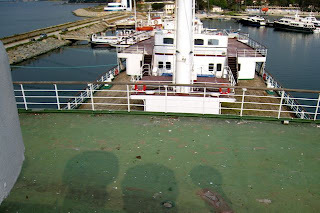 MV AKDENIZ Starboard Promenade Deck, facing forward. 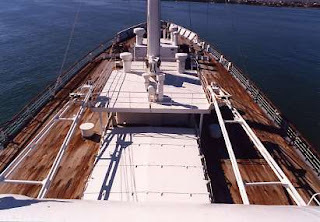 Here, the ship’s original teak decking remains in very good condition. MV AKDENIZ Aspendos Bar, facing forward. On the sheltered terrace overlooking the stern on Promenade Deck, there is the al fresco Aspendos Bar, used in recent times as an outdoor classroom. 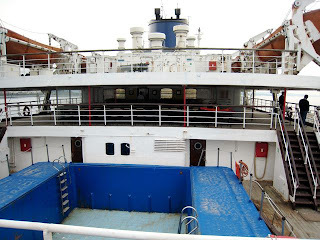 MV AKDENIZ, facing forward from pool area. MV AKDENIZ from between pools, facing forward. There is a small elevated platform between the third and fourth holds, which contain a pool and paddling pool. MV AKDENIZ Disco Demre, facing forward from port. MV AKDENIZ Disco Demre, facing forward. 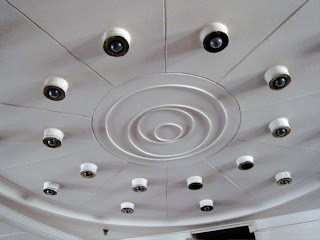 On top of the former tourist class deck house on Promenade level is the Disco Demre, dating from the ship’s 1989 refit. The awning-covered space was also a popular beer garden. A fierce storm recently damaged the structure, which is now in the process of rebuilding. MV AKDENIZ over stern from aft Promenade Deck. MV AKDENIZ aft from Fo’c’sle. 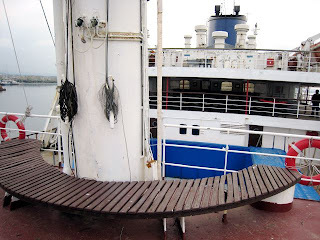 MV AKDENIZ Forward Superstructure from starboard A Deck. MV AKDENIZ “Face” from fwd A Deck deckhouse. The ship’s long, sheered bow holds two hatches and an array of winches and boons that would turn any maritime museum green with envy. And from here, one has the best vantage of AKDENIZ’ gently sculpted, cambered superstructure or “face”. 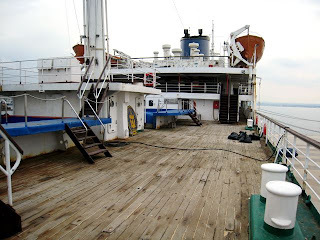 MV AKDENIZ Starboard A Deck Promenade, facing aft. 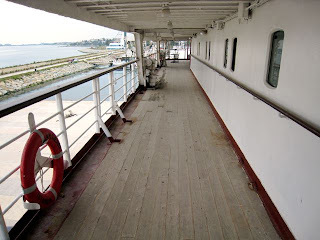 Narrow promenades continue aft from the fo’c’sle on either side of A Deck. 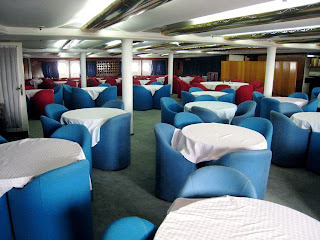 MV AKDENIZ Kekova Lounge, facing starboard. MV AKDENIZ Kekova Lounge, facing port. 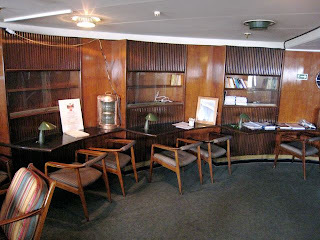 MV AKDENIZ Kekova Lounge library, facing aft. The AKDENIZ’ most beautiful salon, the still very original former first class Kekova Lounge, begins the A Deck interior line up. 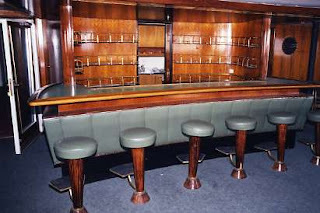 There is a lustrous wood, brass and leather bar aft/center and glass and wooden cabinets that once served as the ship’s Library aft/starboard. The Kekova has been used as a classroom in recent times for a lucky contingent of ITUMF cadets. MV AKDENIZ Forward A Deck Lobby, facing port. 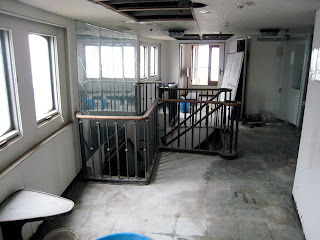 Just aft of the Kekova Lounge, the former first class lobby used to house shops and the purser’s office. The glass-enclosed kiosk now contains displays of Turkish Maritime memorabilia and artifacts from AKDENIZ early career. MV AKDENIZ A Deck stairtower, facing port. 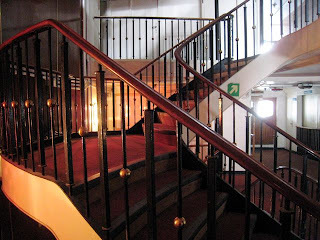 The stairtower is quite remarkable with its mahogany-capped iron balustrade, brass trivets and fetching curvature. 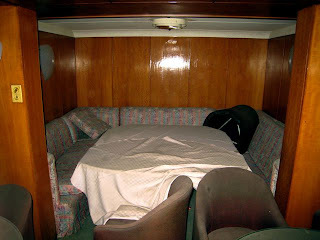 MV AKDENIZ First Class Cabin 400, facing aft. MV AKDENIZ First Class Cabin 400 w/c. 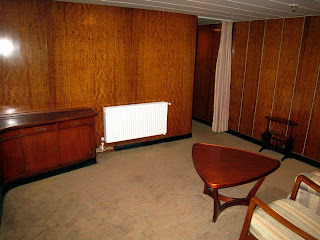 Stunning paneling and woodwork adorns the line up of former first class cabins that follow. AKDENIZ is a museum of magnificent hardwoods and veneers, especially in her former first class and lux quarters. 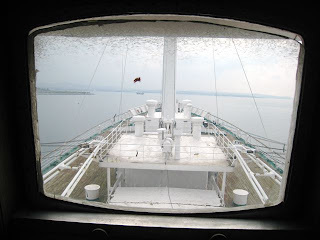 MV AKDENIZ Aft Starboard A Deck, facing forward. Aft A Deck has plenty of open, teak-lined space surrounding the pool area. 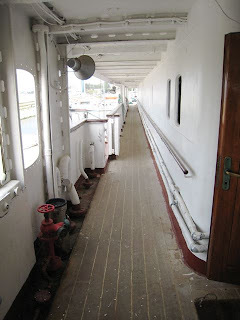 Narrow promenades wrap around the former Tourist Class deck house, leading to the fantail. 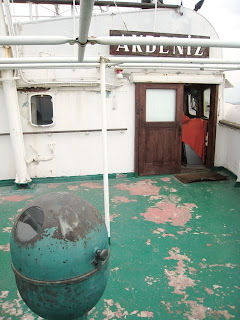 MV AKDENIZ Aft A Deck Foyer, facing starboard. 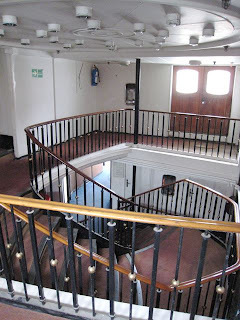 MV AKDENIZ Aft A Deck Foyer, facing forward. 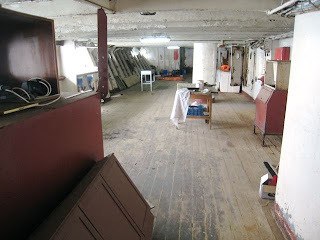 The former Tourist Class Foyer is in the forward portion of the aft A Deck deck house. 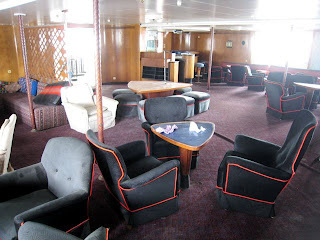 MV AKDENIZ Halikarnas Lounge, facing starboard. 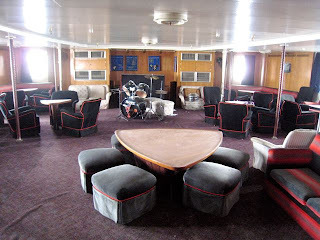 MV AKDENIZ Halikarnas Lounge, facing aft. MV AKDENIZ Halikarnas Lounge, facing forward. MV AKDENIZ Halikarnas Bar, facing forward. 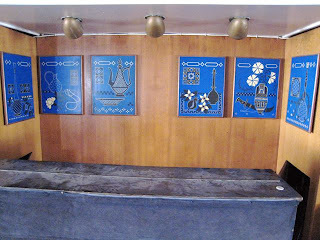 MV AKDENIZ Halikarnas melamine panels. It’s been a long time since the former Tourist Class Halikarnas Lounge was last used, so there is a bit of dust in the vicinity. 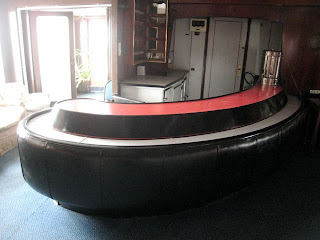 It features a handsome bar in its forward starboard quarter a dance floor and a small stage. Although a bit less spectacular than the former First Class salons, it is still quite a beautiful room with warm wood paneling, solid vintage furnishing, original light fixtures and nice bits of melamine art. MV AKDENIZ Forward/port B Deck facing forward. 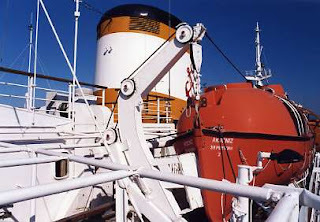 anchor windlass compartment, continuing aft via a sheltered space on either side, unique to hard-working passenger liners of the AKDENIZ’ era. MV AKDENIZ Galley, facing starboard. The relatively compact main galley follows. MV AKDENIZ Capadoccia Restaurant, facing port. MV AKDENIZ Capadoccia Restaurant, facing forward. The Capadoccia Restaurant was the former First Class Dining Room. The largest of three dining venues, it spans the width of the ship, combining warm wood tones with relatively modern, comfortable furnishings. 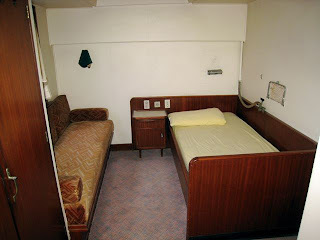 MV AKDENIZ Tourist Class cabin 301, facing port. 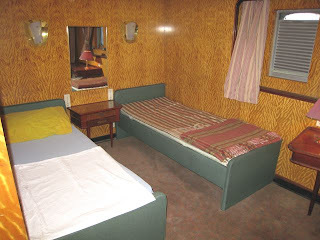 An entire level of comfortable former Tourist Class cabins continue aft from the Capadoccia Restaurant. 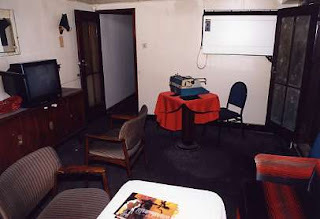 All were given private facilities in the 1989 refit. 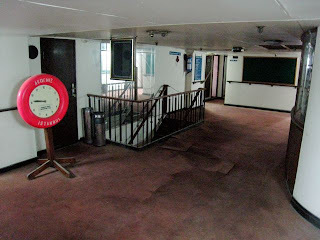 MV AKDENIZ aft B Deck Lobby, facing starboard. 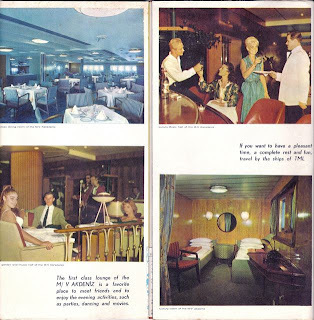 The aft B Deck Lobby was originally the Tourist Class entrance. 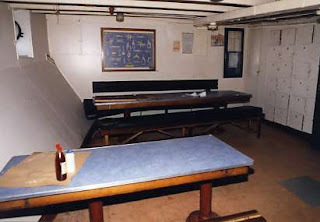 Hospital staff had accommodation in the aft portion of B Deck, adjacent to the Hospital. 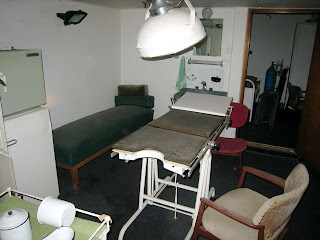 The Hospital is a rather fascinating vintage study, with equipment dating from 1955. 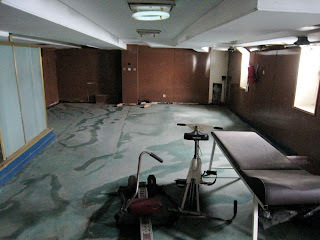 MV AKDENIZ Gym, facing aft. 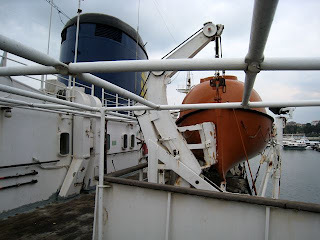 MV AKDENIZ Sauna, facing starboard. 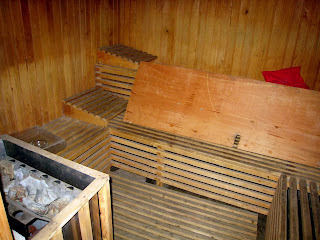 The Gym and Sauna were added in 1989 and are located on the forward/port section of C Deck. MV AKDENIZ Perge Restaurant, facing forward. 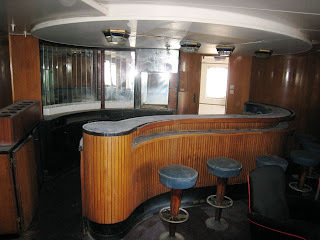 MV AKDENIZ Perge Restaurant booth, facing starboard. 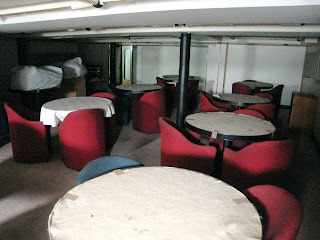 The Perge Restaurant is in the aft portion of C Deck, on the port side. 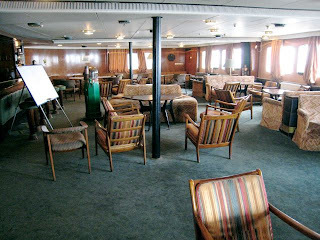 It was originally AKDENIZ’ Tourist Class Dining Room and was refitted in a style similar to that of the Capadoccia. 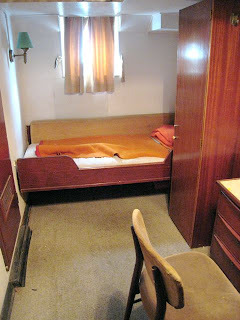 MV AKDENIZ Tourist Class cabin, facing starboard. 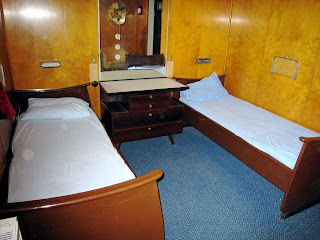 MV AKDENIZ Tourist Class cabin, facing aft. 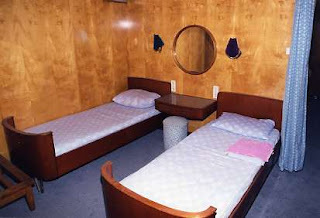 More former Tourist Class cabins are located on C Deck. 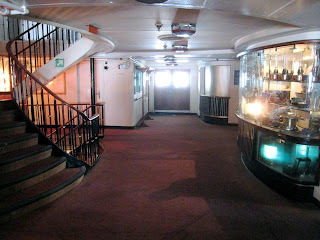 MV AKDENIZ C Deck passageway adjacent to Duden Restaurant. MV AKDENIZ Duden Restaurant, facing starboard. MV AKDENIZ Duden Restaurant, facing port. 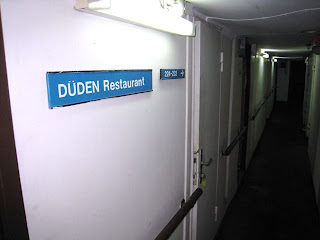 A third restaurant, the Duden, is situated athwartships near the stern on C Deck. 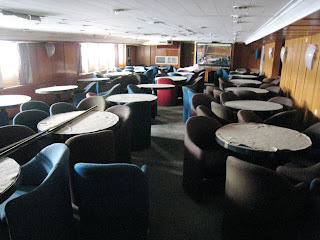 It was reportedly used as an ala carte dining room in the AKDENIZ’ German cruising years. 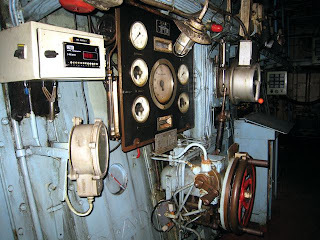 At the very stern is the ship’s steering gear compartment. 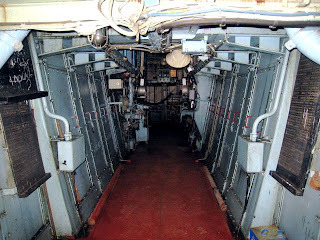 MV AKDENIZ Crew Mess, facing aft. 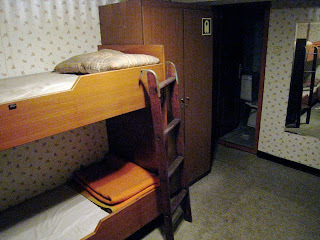 D Deck has yet more former tourist class cabins. 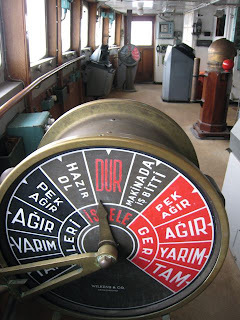 MV AKDENIZ Engine Room control panel. 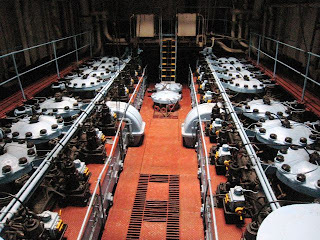 MV AKDENIZ Engine Room, facing aft. 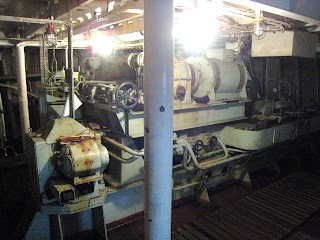 MV AKDENIZ Engine Room, facing aft/up. 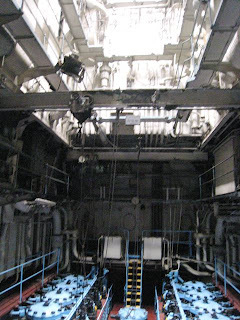 MV AKDENIZ Engine Room lower level, facing aft. 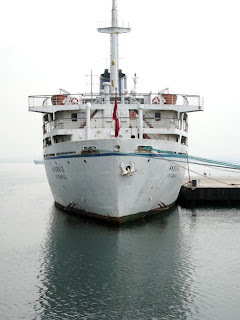 Options for the ship’s future include, in addition to her continuing career as a Turkish training ship, use as a floating hotel-restaurant-conference center-museum in the Tuzla region. There is also serious consideration for configuring her as a mother ship to be used as a hospital-accommodation vessel in disaster situations, according to ITUMF’s Doctor Bilgili. 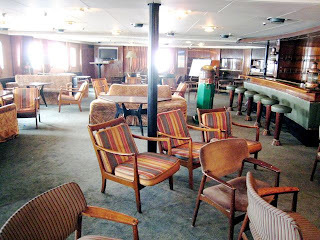 If only they would build ships with interiors like that…I miss the NORWAY, FESTIVALE, CARNIVALE, EMERALD SEAS, AMERIKANIS…….wonderful photos Peter. My friend and I travelled from Marseilles to Istanbul on the Karadeniz in 1965, we travelled dormitory class – no food, it was wonderful. Evertime the ship left port, the little turkish orchestra would come on deck and play a turkish tango as we sailed from the docks. We were 5 days travelling to Istanbul and we arrived as the sun was setting – one of the most magical views ever! 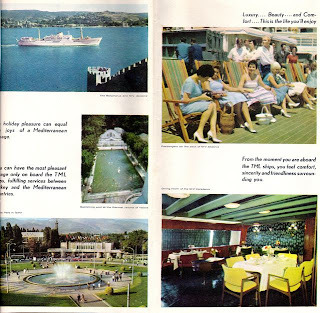 Thanks for the photos – the memories of those ships are a;lways with me but still nice to see them in print. 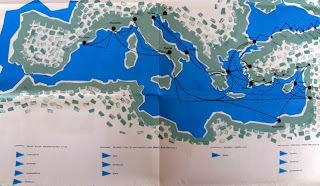 As a student in the summers of 1962, 1963 and 1964, I travelled on Akdeniz and Karadeniz from Marseille to Beirut, via Genoa, Naples and Alexandria. Being a student I went dormitory class. Most of the other students were returning from studies in France. One of my favourite memories is of the Akdeniz passing between Italy and Sicily, early in the morning, with a few nuns standing in the bow, and sparks coming from the funnel. Each day, I went ashore and bought bread, oranges and tinned luncheon meat. Years later I married a wife from Istanbul, and we now have 3 grown up children. 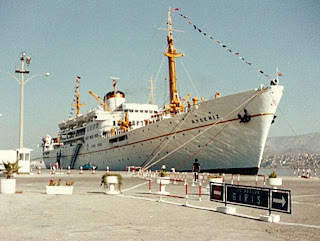 In 1992 we again saw the Akdeniz moored in the Halic (the Golden Horn). I hope she is preserved. Splendid feature, Peter! So many of these smaller liners were plying their routes for so many years and seemed to get so little recognition from the ship cognoscenti. They are eminently more interesting than the famous larger ships that everyone knows about. It’s an older article, but great pictures Peter, as if she was left alone after the last cruise and never tocuhed again. Marvelous to see. I am glad this possibilities still are around. 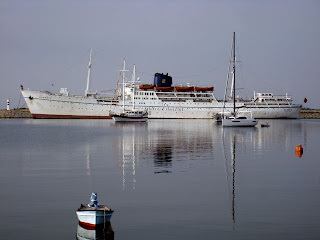 As a student, fall of 1970, I sailed from Barcelona to Alexandria via Marseilles, Genoa and Naples. Soon as I heard the call to prayers, I knew it was the adventure I was looking for. Defining moment was when passing between Italy and Sicily, the sea was rough. The nuns in the lower dormitory were all getting sick. I escaped up to second class deck to a couch, avoiding being sick myself. Early morning awoke to several men gathered nearby, talking very excitedly. I asked one of the men what they were speaking about. It seems Nasser had died in the night. He was worried about what would be in store. We arrived at Alexandria to find it very quiet. Everyone was in Cairo for the funeral. Turns out Beirut was in chaos – tanks and machine guns in the streets! Was relieved I hadn’t gone there! Those memories are still viscerally with me. Nice to see photos of the ships again. 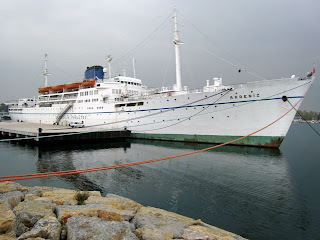 In 1962 I sailed on the Akdeniz to Barcelona. My first summer away from the Midwest in the USA. It was my youth. 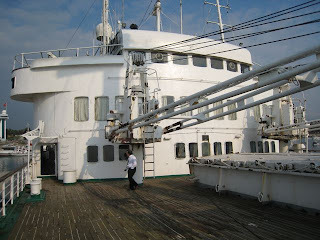 The ship was beautiful: white, classic lines, and proportion. 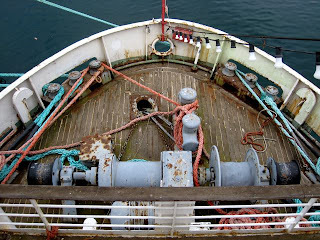 I was always on deck in the sun and the sound of the sea: the rushing hissing foam at the side of the ship. 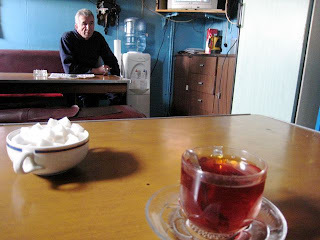 In the fall I sailed back to Istanbul on the Akdeniz. Now the ship is gone so is my youth. But not the sound of the sea and the beautiful liner. Some times when I can not sleep, I imagine myself at the polished railing, leaning slightly over. I hear the sea. I sleep and youth returns. During the period from 1956 to 1961 as a little boy, my family and me, sailed every summer of each year, from Barcelona to Istanbul and retorn. One of my best memòries it is when runs the pass between Sicilia and Italy, the Chef of Restaurant on board offer’s us an special dish for dinner, a big rice mountain simulating the Stromboli volcano on eruption!!. Fantastic trips on each one of the 4 vessels used for this cruise, Akdeniz, Karadeniz, Adana and Ankara, spent an entire week to cover the trip.